The most recent of Very Light, No Sugar’s Coffee Dates series took me to diabetes camp at Lions Camp Merrick in Maryland with Lilly Diabetes, performing artist Crystal Bowersox, and her awesome crew. This particular “Coffee Date” was more of a marathon “Coffeehouse” of sorts, as it included a live music performance from Crystal Bowersox, as well as a busy day packed with camp activities. Before we dive into the recap of our day, I want to thank Lilly for having me. Additionally, many thanks to Crystal for letting me tag along and learn more about her. Regrettably, I did not get to attend diabetes camp as a child. 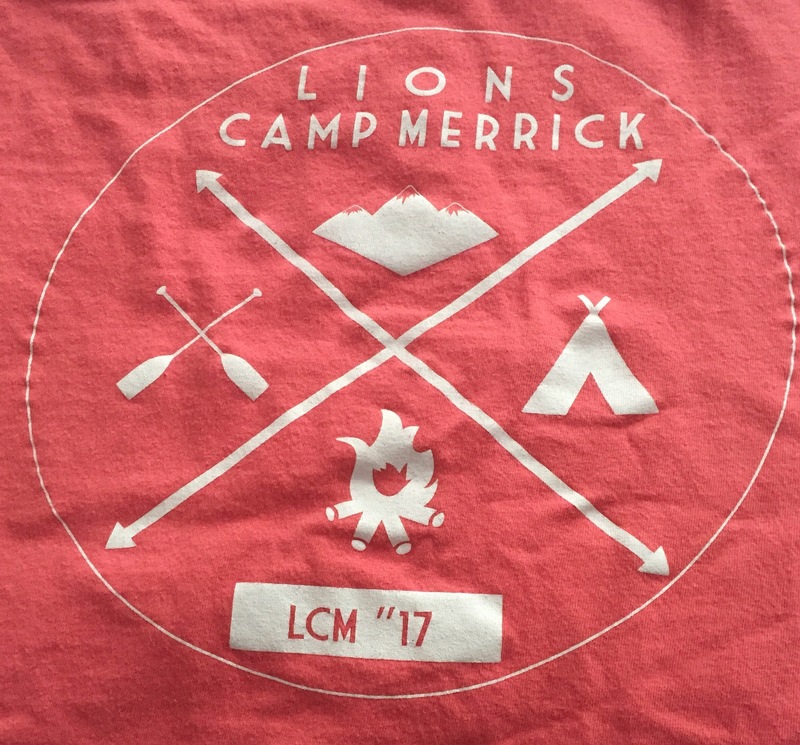 Decades later, I finally got to experience camp for the first time during our trip to Lions Camp Merrick, and I left feeling inspired and reinvigorated by the spirit of everyone there. Thank you! My disclosures for this experience are the following: I accepted Lilly’s invitation to attend camp with Crystal Bowersox. Lilly paid for my travel, hotel, and meals. Opinions expressed are my own. We arrived at Lions Camp Merrick, where a camera crew was ready to document Crystal’s camp experience (see here for a video snapshot of the day). Our first stop was the arts and crafts room, where we made slime! The campers were thrilled to see American Idol 2010 runner-up and person with diabetes Crystal Bowersox, who gracefully yielded questions from everyone. We each took turns in the slime-making process- stirring up the various ingredients, such as glue and food coloring. That quote embodies the spirit of each camper we met: These kids deal with a lot at a young age, but they remain enthusiastic and engaged in the world around them. Camp is a place to relax, hang out with friends who “get it,” dream big, and just be a kid. Another camp attendee was there for “Siblings’ Week,” in which the siblings of kids with diabetes can also go to camp. For psychosocial reasons, I love that such integrated supports exist for all members of the family. Up next, we went to the obstacle course / climbing wall area, where Crystal and her tour manager and band member, Derick, were the first brave souls to scale the wall, taking diabetes and exercise to a whole new level- literally! At lunchtime, the camp staff helped the campers to calculate carbs and best-guesstimate boluses. Diabetes is unique to each individual, and it can be especially tricky when the exercise and adrenaline of camp are thrown into the picture. My hat is off to the camp counselors, who oversaw all of the campers and handled any blood sugar bumps in the road with confidence, expertise, and poise. Q: Do you like turtles? Q: Do you like hamsters? Q: What was your A1c during your DKA [diabetic ketoacidosis] experience while filming American Idol? A: [paraphrased] A1c at the time was decent. DKA has more to do with the immediate need for insulin in the body than the 3-month average blood glucose portrayed by the A1c result. The experience taught Crystal that in order to feel her best and enjoy what she loves (performing), she has to prioritize managing her diabetes. Q: Would you change anything about your time on American Idol? A: [paraphrased] There is so much to be thankful for, stemming from Crystal’s American Idol experience, that she would not change a thing. Crystal now gets to do what she loves every day, including touring diabetes camps as a Lilly Ambassador this summer and meeting so many great people along the way. While observing Crystal’s performance, I noticed a few campers with the pale, shaky “hypoglycemia look” that I know all-too-well myself. They approached the camp counselors to inform them of the situation, checked their blood sugar, and were handed small cups of juice or glucose tablets to treat the low blood sugars. This was all done calmly and in a composed fashion. Low blood sugar can be serious, which is why it was treated promptly. The vibe given off at camp was that the highs and lows were something we could deal with and then get on with our day, just another example of why camp can be so empowering. After the Q&A session, Crystal then individually met with each camper to sign autograph cards, take photos, and chat some more. This clearly meant so much to the kids; how cool to have their unique special moment with their role model! I will always respect Crystal for the time she took to connect with each person there. Behind the scenes, I learned what helps camp to run so smoothly: A camp employee expressed his sincerest gratitude to Lilly for supplying the insulin at camp. Lilly also provides Camp Care Packages, as well as scholarships. Camp has been illustrated to have a positive impact on attendees, as highlighted here. As the camp and Crystal Bowersox prove, you can still have fun and enjoy success despite diabetes. We are equipped to handle whatever diabetes throws at us, and peer support, like that found at camp, is invaluable. Many thanks again to Lilly, Crystal Bowersox and her crew, and Lions Camp Merrick for a wonderful day. Posted on August 20, 2017 August 21, 2017 by Ally	This entry was posted in diabetes, insulin, peer support and tagged American Idol, Crystal Bowersox, diabetes camp, insulin, Lilly. Bookmark the permalink. I got to visit the state ADA camp two years ago for a day. I enjoyed my day at camp as well. Of course, there was no big star at the camp I attended.